Thirteen percent of all commercial truck crashes are caused by driver fatigue. While truck drivers must adhere to hours of service regulations, strict deadlines can pressure them to ignore these rules. If you’ve been hurt in a collision with a commercial truck, you need the help of experienced attorney Jim Miron to determine if an hours of service violation is to blame for your injuries. Call 203-339-5991 to schedule your complimentary case review. Winters in the Bridgeport area can get snowy and icy. This makes for particularly dangerous road conditions, and it should come as no surprise that we see a lot of weather-related car crashes during this time of year. The following infographic highlights the large number of injuries and fatalities associated with car crashes during winter driving conditions. It’s crucial that you drive safely and defensively when the roads are snowy and icy to reduce your risk of these serious collisions. I Was Hit by an Uninsured Driver. Now What? Driving without insurance is illegal, but it happens more often than you’d like to believe. Nearly 10 percent of Connecticut drivers get behind the wheel without insurance, which can be risky for other drivers on the road. If you’ve been hit by an uninsured driver, or a driver whose policy isn’t enough to cover your damages, Attorney Jim Miron may be able to help. What Damages can Be Recovered in a Slip and Fall Case? Slip and fall accidents are very common. 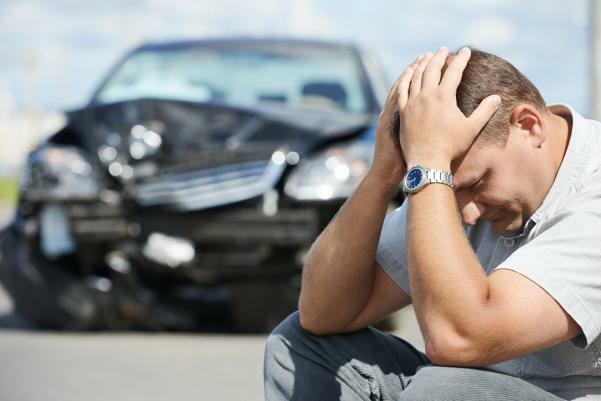 Often, these accidents result in serious injuries that can require costly medical treatment. In addition to your medical expenses, you may face other financial hardships caused by lost wages if you must miss work while you recover. If you’ve been injured in a slip and fall accident caused by the negligent actions of another, it’s crucial that you work with an experienced attorney who can help you stay financially afloat during this difficult time in your life. Time to Review Your Vehicle Insurance! Today is the third Monday of April, or Patriots’ Day here in New England. The holiday is in observance of the Battles of Lexington and Concord (fought on April 19, 1775) and the beginning of the American Revolutionary War to gain American independence from Great Britain. It is also the last day to file your taxes. It is also a good reminder to review your motor vehicle insurance to ensure that one’s personal financial health is protected. When People Need Help. They Turn to Attorney Jim Miron. TRIP also rated 34 percent of Connecticut’s rural roads as being in a mediocre state, while 8 percent of the bridges in rural areas were deemed structurally inefficient. […] the traffic fatality rate on Connecticut’s rural roads, 1.45 per 100 million vehicle miles of travel, was nearly double the rate on the roads in the state’s urban and suburban areas. “Rural transportation accessibility and connectivity is critical to transportation-dependent business sectors including the growing energy production sector, advanced manufacturing and tourism,” the report stated. The U.S. Department of Agriculture’s Food Safety and Inspection Service (FSIS) has announced several large food recalls. The recalls are due to misbranding and undeclared allergens. An ingredient supplier notified companies on June 6 that bread crumbs the companies used in the products contained undeclared milk. Milk is a known allergen. Injured? Attorney Jim Miron Can Help. Use your head and dont lose a finger! Dash Cam Records Narrowly Missed Tragedy! #FireworksSafety this 4th of July Holiday! Food Allergy Alert: Peanuts May be in the Spice Rub. Prepare for ‪#‎WinterWeather‬ by gathering emergency supplies. Drinking while Driving is a Crime Even if Under the Limit. They Are Your Records! Access to Your Medical Records In Connecticut. Why it is important to have UM/UIM and Med Pay Coverage! What is Good Attorney Client Communication?